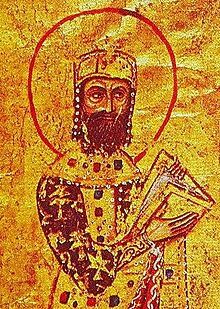 Introduction: The strategic and tactical military abilities of Alexios I Komnenos, ruler of the Byzantine Empire (1081-1118), have been much discussed among Byzantinists. Historians have varying opinions regarding his military prowess. His daughter, Anna Komnena, praised her father as not only an effective emperor but also a military genius. In the Alexiad, she described Alexios as ìanother Aemilius, the famous Roman, or a Scipio, or a second Carthaginian Hannibal. Some modern historians agree with the popular historian John Julius Norwichís description of Alexios: ìHe had always been, first and foremost, a soldier. On the other hand, current historiography suggests that Alexios was, at best, a mediocre general. The most recent work on the subject, The Development of the Komnenian Army by John Birkenmeier, depicts Alexios as a poor commander initially who luckily managed to survive long enough to evolve into an average military generalóone who was perceptive enough to adjust his tactics to fit his numerous enemies. Certainly, part of that statement appears true, but larger questions loom. This entry was posted in Articles and tagged Byzantine. Bookmark the permalink.